Imagine you've just bought an immensely detailed modeairplane kit. How do you set about putting althe hundreds of tiny parts together? First, no doubt, you'lexamine the illustrations on the box. Then, following the instructions inside shortens the whole process of putting a modetogether in the best way possible, making no mistakes. Even lacking any assembly instructions, you can stilmanage the task if you already possess a similar modeairplane. The first plane's design can serve as an important guide in assembling any later one. In the exact same way, using a flawless design in nature as a modeprovides shortcuts to designing technologicaequipment with the same functions in the most perfect possible manner. Aware of this, most scientists and research and development (R&D) experts study the examples of living things before embarking on any new designs, and imitate the systems and designs that already exist. In other words, they examine the designs God has created in nature and, then inspired, go on to develop new technologies. This approach has given birth to a new branch of science: biomimetics, which means the imitation of living things in nature. This new study is being spoken of more and more often in technologicacircles and is opening up important new horizons for mankind. As biomimetics emerges, imitating the structures of living systems, it presents a major setback for those scientists who stilsupport the theory of evolution. From an evolutionist's point of view, it's entirely unacceptable for men—whom they regard as the highest rung on the evolutionary ladder—to try to draw inspiration from (much less imitate) other living things which, allegedly, are so much more primitive than they are. If more advanced living things take the designs of "primitive" ones as models, that means that we'lbe basing a large part of our future technology on the structure of those so-called lesser organisms. That, in turn, is a fundamentaviolation of the theory of evolution, whose logic maintains that living things too primitive to adapt to their environments soon became extinct, while the remaining "higher" ones evolved and succeeded. Biomimetics, while placing the proponents of evolution in a vicious circle, is expanding by the day and coming to dominate scientific thought. In the light of this, yet another new scientific branch has emerged: biomimicry, or the science of imitating the behavior of living creatures. 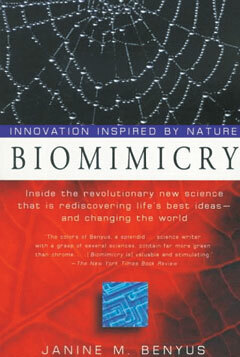 This book considers the advances that biomimetics and biomimicry have made by taking nature as their model. It examines the flawless but hitherto, little noted systems that have existed ever since living things were first created. It also describes how nature's many varied and highly efficient mechanisms, which baffle the proponents of evolution, are alproducts of our Lord's unique creation. Biomimetics and biomimicry are both aimed at solving problems by first examining, and then imitating or drawing inspiration from models in nature. 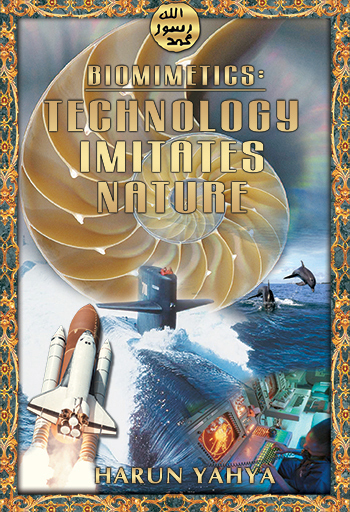 Biomimetics is the term used to describe the substances, equipment, mechanisms and systems by which humans imitate naturasystems and designs, especially in the fields of defense, nanotechnology1, robot technology, and artificiaintelligence (also known as AI, for short). This rapidly expanding concept found favor with scientists, who were able to accelerate their own research by drawing for inspiration on nature's incomparably flawless models. Scientific researchers working on economic systems and raw materials—in the industriafield in particular—have now joined forces to determine how best to imitate nature. How, through photosynthesis, leaves perform an astounding chemicareaction to create 300 billion tons of sugar every year. These are just a few examples of the naturamechanisms and designs that create great excitement, and have the potentiato enrich a great many areas of technology. As our information accumulates and technologicapossibilities increase, their potentiabecomes ever clearer. In the 19th century, for example, nature was imitated only for its aesthetic values. Painters and architects of the time, influenced by the beauties of the naturaworld, duplicated these structures' externaappearance in their own creations. But the deeper one looks into the fine detail, the more astonishing nature's immaculate order becomes. Gradually, as the extraordinary nature of naturadesigns and the benefits that their imitation would bring to mankind, naturamechanisms began to be studied more closely—and finally, at the molecular level. The emerging materials, structures and machines being developed through biomimetics can be used in new solar cells, advanced robots and future spacecraft. From that perspective, nature's designs are opening incredibly broad horizons. How will Biomimetics Change Our Lives? Our Lord has given us the designs in nature as great blessings. Imitating them, taking them as models wildirect mankind toward what is right and true. For some reason, only recently has the scientific community understood that nature's designs are an enormous resource and that these need to be made use of in daily life. Therefore, it's evident that the Biomimetic Revolution wilinfluence mankind profoundly and let us live in ever greater ease and comfort. Perusing articles like these demonstrates how the results of this scientific research are, one by one, revealing proofs of the existence of God. [God is] the Originator of the heavens and Earth. When He decides on something, He just says to it, "Be!" and it is. 1 Nanotechnology means building something by manipulating the placement of pieces that vary in size from 0.1 to 100 nanometers (nm)—roughly the range of size between atoms and molecules. 5 Philip Ball, "Life's lessons in design," Nature, January 18, 2001. 9 Bilim ve Teknik (Science and Technology Magazine), TUBITAK Publishings, August 1994, p. 43. 10 Philip Ball, "Life's lessons in design", Nature 409, 413-416 (2001). 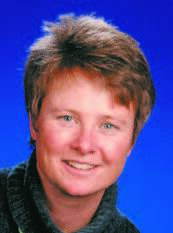 15 Jim Robbins, "Engineers Ask Nature for Design Advice," New York Times, December 11, 2001. You can read Harun Yahya's book Biomimetics: Technology Imitates Nature online, share it on social networks such as Facebook and Twitter, download it to your computer, use it in your homework and theses, and publish, copy or reproduce it on your own web sites or blogs without paying any copyright fee, so long as you acknowledge this site as the reference.